Let's start off the new year with a giveaway! 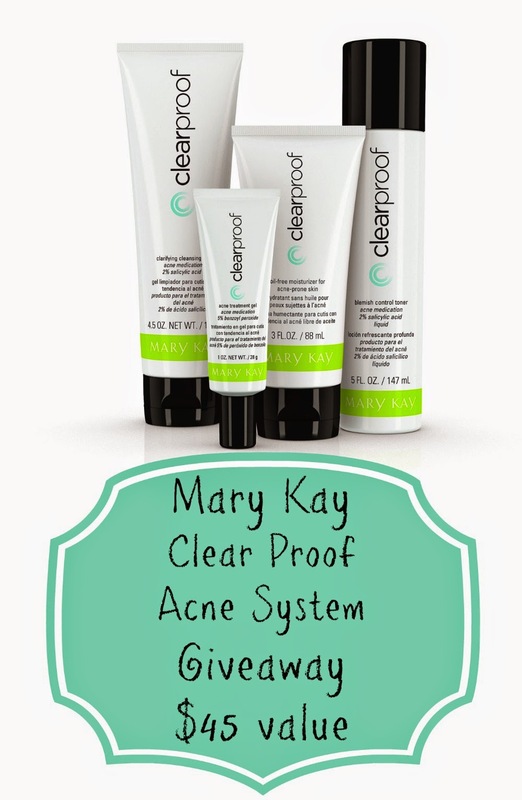 A few months back, I reviewed the Mary Kay Clear Proof Acne system and gave one away to a lucky reader. My readers like it so much that I got another one to give away. If you struggle with acne, then you know that salicylic acid and benzoyl peroxide are the two main treatments. The Clear Proof system uses both ingredients to combat acne. The salicylic acid removes dead skin cells that could clog your pores. Benzoyl peroxide kills bacteria that can cause acne. Clarifying Cleansing Gel to wash your face, which contains salicylic acid. Blemish Control Toner has salicylic acid to tighten pores and remove dead skin cells. The Acne Treatment Get is a spot treatment with benzoyl peroxide to kill bacteria. The Oil Free Moisturizer moisturizes your skin without clogging pores or making your skin oily. The entire kit costs $45, and you can buy each product individually for $10-$18. If you are on a tablet or phone, you will have to click to get the full site. Click on the navigational menu tab and you'll see a link for the desktop site.